Translation and localization can help you communicate with the global marketplace. To reach a growing global market, you need to not only translate your content into a foreign language, your content needs to be localized, which involves a more comprehensive cultural adaptation to better reach your target audience. LanguageLine's award-winning book, The Guide to Translation and Localization, has been the leading resource on this topic for over a decade. 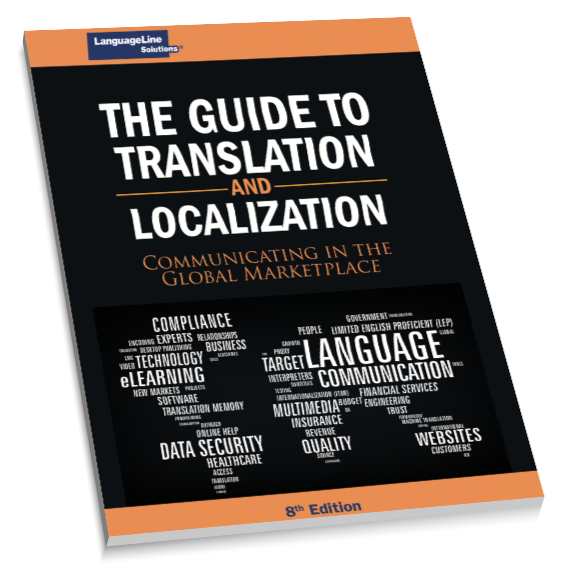 With more than 40,000 copies in circulation, it is widely recognized as the definitive source of information for companies considering localization. Fill out the form to download your complete copy of the book now.